We offer a stunning range of Retro Copper Shaggy Carpet that has the color of beaten copper. 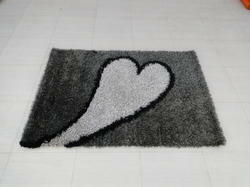 We offer these carpets in various shapes and sizes. Very affordable these carpets look stunning and transform a drab interior into a very lively space. These carpets are very smooth of texture, comfortable and soft. 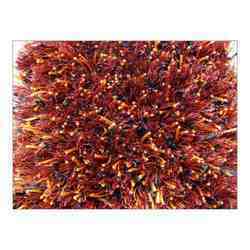 We are manufacturer, supplier and exporter of Shaggy Carpet. These Shaggy Carpet cords can be availed in different colors and sizes that are as per the specific requirements of the clients. Available with us is an extensive range of Shaggy Carpets that are crafted using quality cotton and wool by our weavers having years of experience in the field. Offered at industry leading prices, ranges of colours and patterns available with Shaggy Collections can be seen in the image. WE HAVE THE BIGGEST COLLECTION OF SHAGGY AVAILABLE IN THE MARKET With the arrival of shaggy carpets, we were quick to adapt to the change and evolved as one of the leading manufacturers of shaggy in India. We quickly developed and introduced new material combinations and textures and hence introduced the widest collection of shaggy carpets in our markets. Enriched with a vast industry experience, we are capable of manufacturing and supplying a vast range of premium quality Hand-Woven Shag Rugs. Extensively used in home and hotels for decor, these are highly acclaimed among the patrons, we have. Dedicated to the satisfaction of our clients, we make the offered range of rugs available at cost-effective prices. Hand Knotted jute durries with natural and dyed color. Our shaggy carpets are super plush and soft as these are hand made using wool and silk combinations. This is the latest trend of carpets which we are producing these days . We manufacture a wide range of Shaggy Color Chart Carpets which are available in different colors and patterns. Different colors are available in the image. These Saigy carpets are designed in such and unique way that they increase the look of a floor where they are placed.